Make a sauce of the butter, flour, salt and milk. Beat 4 egg yolks into the sauce and add 1/2 cup grated cheese. Mix well and let cool. 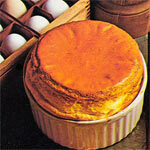 Fold in the egg wites that have been stiffly beaten. Set in baking dish in shallow pan of water and bake 1/2 hour at 350 degrees. 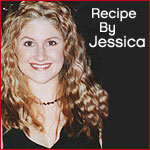 Instead of cheese you can use 1/2 cup of finely chopped spinach or 1/2 to 3/4 cup bacon or any other item. 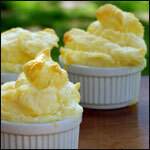 What do you think of Cheese Souffle? It's in the oven now... and looking really good. 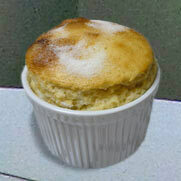 The flavor was good, but the souffle did not rise well. 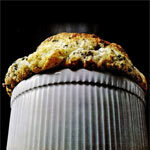 I have made many souffles, but this one was rather flat. I won't bother with this recipe again. Mine rose up beautifully, but then sank down after about 90 seconds. Taste was good - wish it would have held it's shape better. Put a bowl inside the bowl right? This is a really good recipe. I luv it. 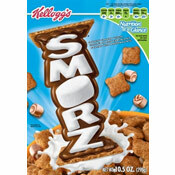 I have it all the time and have become sooooooooo good @ making it.